Scott Warren has kept himself busy onstage throughout the Atlanta area for 13 years. He has performed with Theatrical Outfit (Confederacy of Dunces, To Kill a Mockingbird, Keeping Watch, The Foreigner, Waiting For Godot, The Chase), Theatre in the Square (The 39 Steps, Sherlock Holmes the Final Adventure), Georgia Ensemble (Season’s Greetings, The Foreigner), Actor’s Express (Beautiful Thing), Aurora Theatre Company (Bob, Dr. Jekyll and Mr. Hyde, Gray Area), Georgia Shakespeare (The Tempest, Antony and Cleopatra, Noises Off!) and the Alliance Theatre Company (Class of 3000, Aladdin, Stinky Cheese Man and Other Fairly Stupid Tales) among others. 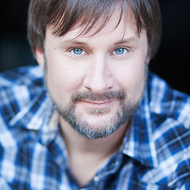 In addition to performance, Scott has directed 12 new works at Dad’s Garage Theatre Company, including Drove (2007) which made Creative Loafing’s Top 50 of the Decade. He recently directed the world premiere of Two Drink Minimum at Theatrical Outfit, and will soon be directing the Southeastern Premiere of All Childish Things at the Aurora Theatre. Scott served as the Interim Artistic Director twice for Dad’s Garage Theatre Company, where he was also an ensemble improviser and writer. He is currently writing the Grimm Lives of Tweenagers for the Alliance Theatre Company.